Here's the Carzone.ie used car guide to the SEAT Leon. It’s kind of hard to believe that the current SEAT Leon (the '5F' if you’re a SEAT product code anorak) is only the third generation ever of that model. It seems like the Leon, in all its variants, has been around for a long longer than that. Introduced in 2012, this Leon does what all previous Leons have done — offer buyers Volkswagen Golf-like quality and practicality, at a lower price. All of the mechanical components, from the MQB chassis to the engines and electronics, are shared with the Golf, the Skoda Octavia, the Audi A3 and so many others. The Leon is arguably more stylish than most of its Volkswagen Group stablemates, is generally willing and enthusiastic to drive, well-made and hugely practical. 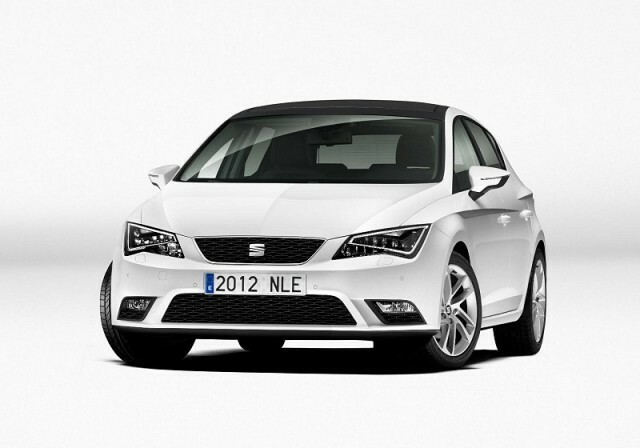 The Leon launched with S, SE and FR trims (Xcellence and Cupra versions have since been added). A basic S comes with steel wheels, air conditioning, a USB port for the stereo, a five-inch colour touchscreen and front electric windows. You can have a five-door hatch, a sporty-looking three-door SC, or a hugely spacious ST estate. SE models add 16-inch alloys, XDS traction control system, electronic parking brake, leather steering wheel and gear-knob, cruise control and parking sensors. FR is a mildly sporty trim, although it’s more about styling than more powerful engines. You do get 18-inch alloys, an eight-inch touchscreen, a switchable driving mode control and automatic headlights and wipers. There’s also a separate XPerience model, based on the estate, which comes with four-wheel drive and a raised ride height for a bit of off-roading prowess. Petrol engines range from a 1.2-litre TSI turbo to a 125hp or 150hp 1.4-litre turbo. Diesel models come in either 90hp or 115hp 1.6-litre TDI guises, and a 150hp or 184hp 2.0-litre TDI. Cupra models come with a 2.0-litre turbo petrol, initially in 280hp form, but latterly in either 290hp or 300hp versions. Not surprisingly, most customers over the past few years have gone for a diesel Leon, and the 1.6-litre TDI is the most popular engine. If you’re going for that, make sure you get a 115hp model, as the 90hp one is a little under-powered, and there’s no real-world difference in the fuel consumption. Of the petrol models, the 1.2 TSI is the best, although again you need to go for the higher-power 110hp model, rather than the basic 86hp version, or you’ll have a pretty sluggish car with little benefit in fuel consumption terms. The 1.4 150hp TSI petrol is also a great choice, with plenty of power, terrific refinement and really very good fuel economy. The 125hp model feels much less well-endowed. The 2.0-litre diesels make a nice choice, but are perhaps a little on the pricey side considering the Leon’s value-based image. That said, a 184hp FR is a cut-price alternative to a Volkswagen Golf GTD and is every bit as good to drive. Just like the two previous versions of the Leon, this model is one of those best-kept market secrets — it has all of the good points of the Volkswagen Golf (aside from, arguably, the styling and the badge appeal), but can generally be bought for around €1,000 to €1,500 less, model-for-model. Roomy, reliable and very practical, the Leon’s an ideal family car, especially the spacious estate.